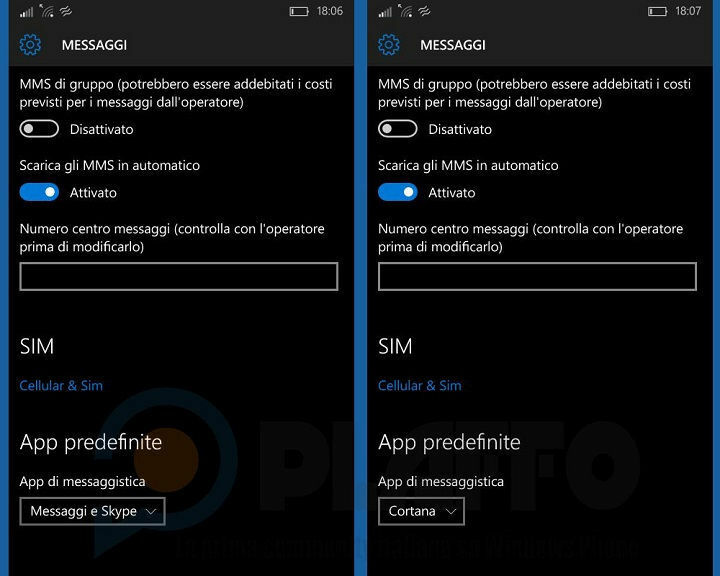 Home » News » Cortana to be the default SMS client in coming Windows 10 Mobile builds? Windows 10 Mobile is finally here (not for all devices, though), which made a lot of former Insiders opt out of the Insider program and start using the commercial version. But for those who choose to remain as Windows 10 Mobile Insiders, nothing will change: Microsoft will still continue to provide preview builds to Insiders even though the full version is released. While Microsoft doesn’t deliver new features with every single build, some additions find their way to Insiders every once in a while. Most recently, a rumor started to spread around the internet that Microsoft is preparing some additional Cortana features for the coming Windows 10 Mobile Preview builds. Reportedly, Microsoft plans to transform its already multi-functional personal assistant, Cortana, into a default messaging app for Windows 10 Mobile. Cortana already has the ability to show missed calls and messages from your Windows 10 Mobile device on your PC but apparently, Microsoft wants to add even more functionality. We still don’t have a clue as to how Cortana will function as an SMS client for Windows 10 Mobile as this information still has yet to come from Microsoft. But there’s a chance (if this feature does indeed see daylight) you’ll be able to send text messages with Cortana directly from your PC. Microsoft recently introduced a new SMS client for Windows 10 Mobile when it merged Skype and old messaging app into Messaging + Skype, so it’s not clear if Microsoft decided to retire this feature only a few months after its introduction. Or will users have the option to choose between the two? Once again, the coming Windows 10 Mobile builds will confirm if our theory is true. What do you think about this feature? Will you let Cortana manage your SMS messages? Tell us in the comment section below!